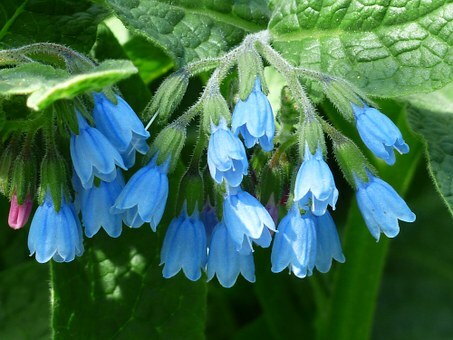 Previously, comfrey was used in its tea form to aid in treating stomach problems, as well as ulcers, heavy menstrual periods, diarrhea, bloody urine, persistent cough.. but experts have raised the alarm on consuming it, as it contain toxic substances called pyrrolizidine alkaloids (PAs), which damage the liver. apart as soon as they are large enough to handle. Many of the beneficial properties of comfrey are attributed to its high content of allantoin, a substance that helps promote new skin cell growth, along with other substances that may work in reducing inflammation and maintaining healthy skin. Comfrey can help you naturally address skin issues such as scratches, rash (including diaper rash), bug bites (particularly spiders), and shallow wounds. It is also deemed helpful easing pain from arthritis, muscle aches, and soreness.